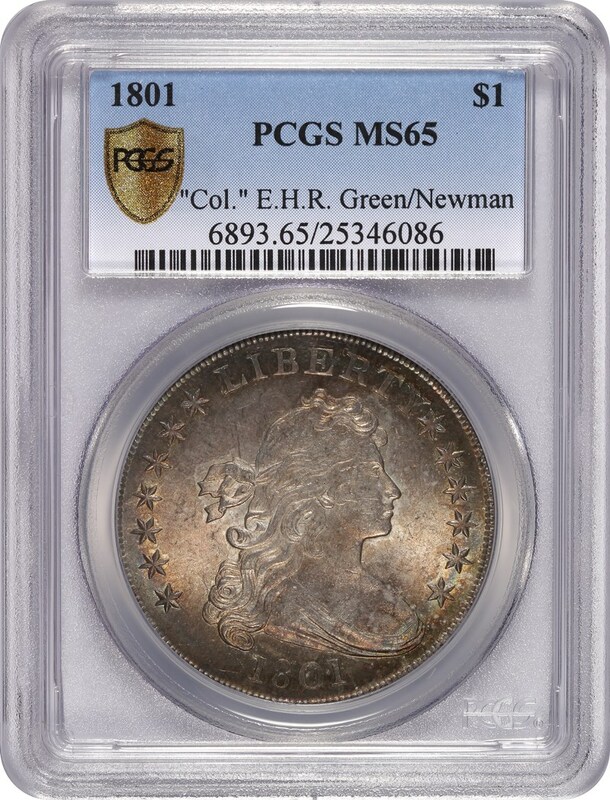 The best coins, such as this crossed-over 1801 Draped Bust dollar, always end up in PCGS holders. Photo credit: Professional Coin Grading Service www.PCGS.com. (Baltimore, Maryland) October 16, 2018 — Professional Coin Grading Service (www.PCGS.com) will offer a special opportunity for its popular “crossover” service (www.pcgs.com/crossover) at the Baltimore Winter Expo in the Baltimore, Maryland Convention Center, October 25 and 26, 2018. The usual crossover grading fee will be reduced to only $10 on coins submitted at the show that does not qualify to be placed into PCGS holders. “The best coins always end up in PCGS holders because collectors and dealers know that PCGS certification helps maximize the value, liquidity, and security of their coins,” stated PCGS President Don Willis. Each PCGS holder has covert and overt security features and is virtually impossible to replicate providing collectors and dealers with anti-counterfeiting as well as environmental protection for their PCGS-certified and encapsulated coins. For the October 2018 Baltimore Winter Expo, PCGS will be at booth #1217 to accept coins for crossover submitted by PCGS Authorized Dealers and Collectors Club Members in either ANACS, ICG or NGC holders. The standard grading fee (plus one percent Guarantee Premium) will apply to all qualifying coins that cross into a PCGS holder. An examination fee of $10 will be charged for coins that do not cross, and a $10 per order handling fee will apply to all orders. PCGS Representatives will be on-site to answer questions, accept submissions (including Bulk on a limited basis), and provide specific hours for submission cutoff times. If your on-site submissions will include world coins, please contact PCGS Customer Service prior to the show at 800-447-8848 for pre-approval. “This is an excellent opportunity for East Coast collectors and dealers to submit their coins to PCGS, the industry standard in third-party certification,” stated Willis. For additional information about the PCGS Crossover Special, visit www.pcgs.com/crossover.